Kiev is the capital city and the largest city of Ukraine. Other than being one of the tourist hub in Ukraine Kiev is an important cultural center of Eastern Europe also. Kiev is a modern center of Industry and educational institution in Ukraine. Kiev also happens to be the home of world famous historical sites. One such site is a monastery founded way back in 1051. This is Kiev Pechersk Lavra Monastery. This is also known as Kiev Monastery of Caves. Kiev Pechersk Lavra monastery is a historic monastery which lent its name to one of city districts where it is located in Kiev. 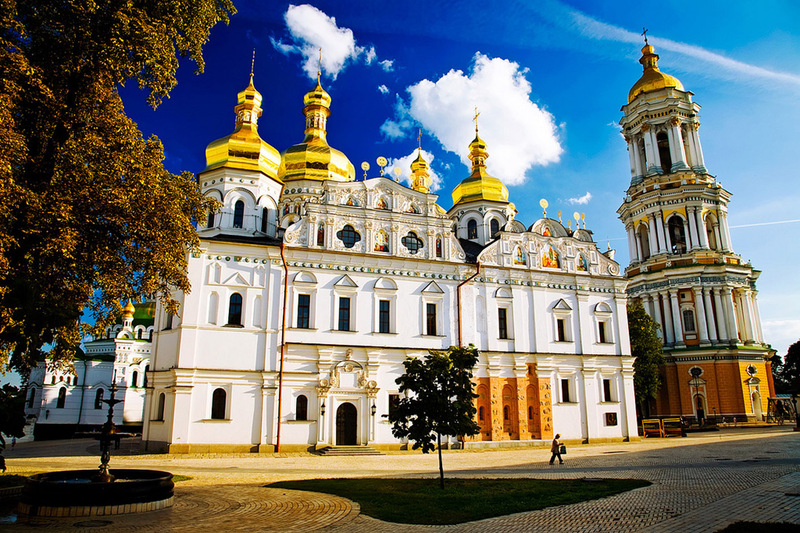 Today the monastery is one of the main tourist attractions in Kiev, Ukraine. So, on your Ukraine trip and Kiev trip you must go and Visit Kiev Pechersk Lavra Monastery. Let us see more good things about this monastery. The monastery is a cave monastery founded in 1051. 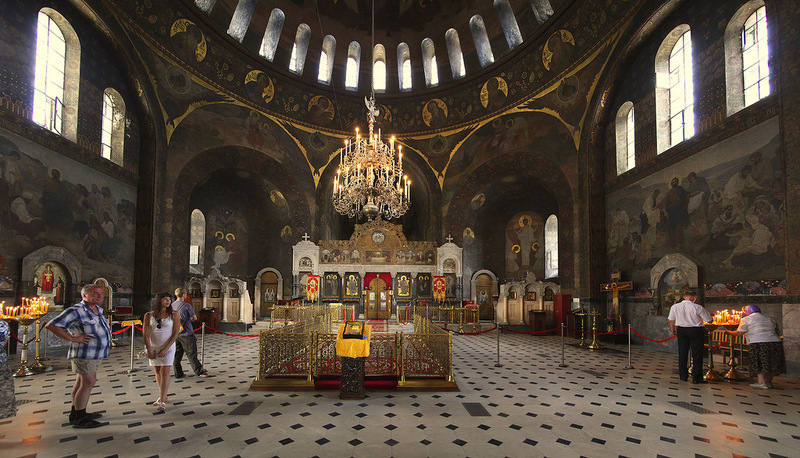 Since that time it has been the main center of Eastern Orthodox Christianity in Eastern Europe. Kiev Pechersk Lavra is inscribed as World Heritage Site by UNESCO and it holds national status since 1996 as a separate national historic preserve. 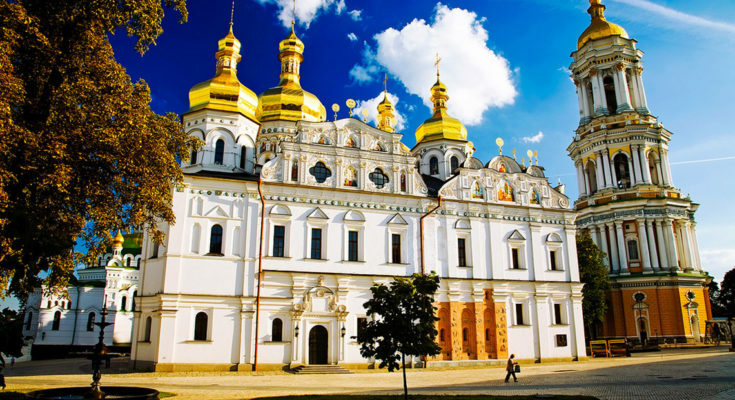 The monastery was also nominated as one of the seven wonders of Ukraine by experts and internet voting in 2007. The monastery is located on a hill that overlooks the Dnipro River and is divided into 2 areas, Upper Lavra and Lower Lavra. Upper Lavra is owned by the government and it has several churches and museum. So the upper Lavra has Great bell tower, Church of the Assumption, Museum of historical treasures and Museum of micro miniatures. Great bell tower is over 96 m and has a competition for Kiev’s skyline with its neighbouring Rodina Mat. You must climb the great bell tower and enjoy the great view of the monastery and the Kiev city. Church of the assumption, built in 11th century got destroyed during the 2nd world war and was rebuilt in year 2000. Museum of historical treasures preserves historic items, unique and precious stones, jewelry and metal works. 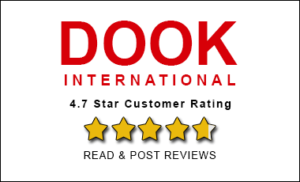 If you love to see them all here along with its spectacular collections of Scythian Gold then you must be here. Museum of micro miniatures has on display the beautiful miniatures creations of Russian artist Mykola Syadristy. You can enjoy seeing though microscopes the beautiful exhibits here which includes chess on the head of a pin. Then comes the Lower Lavra. Lower Lavra is interesting. There are hundreds of caves and narrow passages beneath the lower Lavra. These caves were once a living place of monks. Still over 100 of them are kept here mummified. You must go and see them. Please note that you cannot take your camera here. Kiev Pechersk Lavra is a remarkable monastery and the caves here are extremely fascinating. You can walk round the mummified ones with candle in your hand. 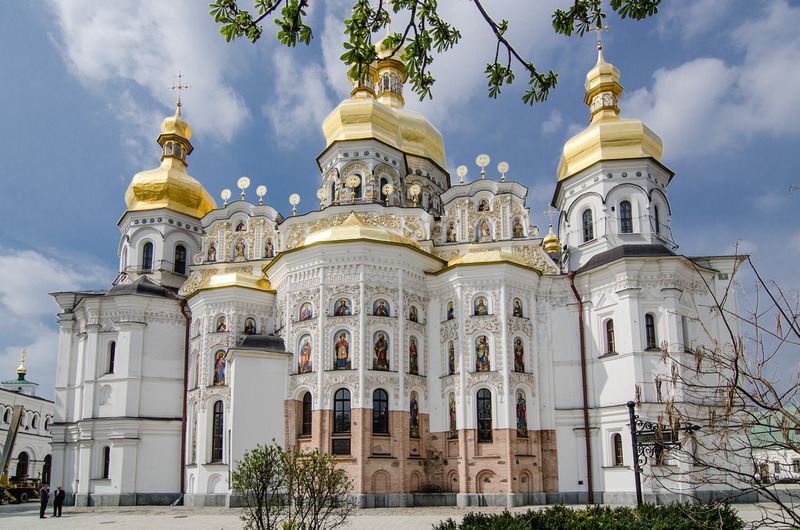 Kiev Pechersk Lavra is also one of the largest museums in Kiev. The caves here are complex as narrow underground corridors. They are hardly 1-1.5 meter wide and 2-2.5 meter high. The catacombs here were said to stretch for hundreds of kilometers reaching as far as Moscow and Novgorod in Russia by foreign travelers during 16-17th centuries. Lavra has over 100 of burials. The entrance to the Kiev Pechersk Lavra is through The Gate Church of the Trinity which is located atop the Holy Gates. Museums on the Lavra territory are; Museum of Historical treasures of Ukraine, Book and print History museum, Museum of Ukraine folk art, Theater and film arts museum and state historical library. In all you have not just one but many things to see, learn and enjoy here at Kiev Pechersk Lavra in Kiev. Kiev is phenomenal, so is Kiev Pechersk Lavra. With historical amazing items still preserved to the narrow lanes and mysterious caves and then mummified monks. You have multiple things to experience here at one place. You cannot miss any of the places on upper and lower Lavra as they are unique. The place which includes Lavra and the river bank would tell you stories that you would like to take back with you. 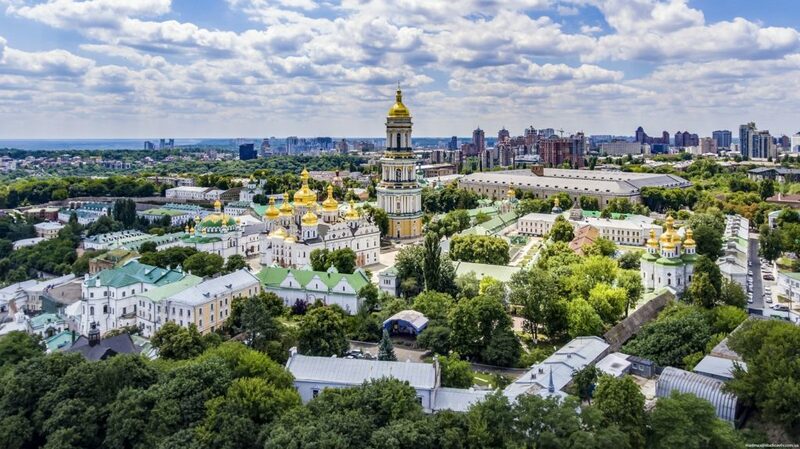 Now it is evident that when you plan to take a Ukraine travel package or Kiev Travel Package then do include Kiev Pechersk Lavra in your go to places in Ukraine or go to places in Kiev list.